This post serves to recap my series on the handling of federal criminal charges in Peoria and elsewhere in Illinois. I decided to write on this topic due to the fact that many defendants do not realize the extent to which the U.S. and Illinois state court systems differ from one another. Such defendants may find themselves unprepared for the process when they have been charged by the United States government. The goal of my last several articles has been to provide information which will help people to better understand their situation. If you are currently facing charges then contact my office today to speak with a criminal defense attorney. These are important topics for an accused to understand. First, not all attorneys are licensed in Federal Court. This means that you must find counsel who can actually assist you. Second, the U.S. Courts follow a different set of laws, have different rules of procedure, and conduct themselves more formally when compared to State Courts. This makes the process very different. 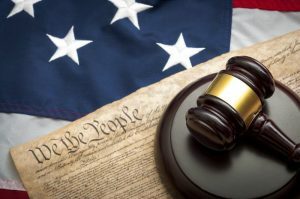 Finally, Federal Judges will typically follow the federal sentencing guidelines and it is important that your representative be versed in them. One point I cannot stress enough, again, is the need to contact counsel as soon as possible if you or a loved one have been arrested. Being charged in Federal Court means that you are facing off against the U.S. Government. In the federal system the rules are more stringently enforced and having counsel who is not familiar with those rules can potentially hurt your ability to mount a defense. By retaining an experienced lawyer you put yourself in a better position. I am a former prosecutor who believes that everyone is entitled to the most rigorous defense. Contact my Peoria office today to schedule an initial consultation. I also service the cities of Bloomington, Eureka, Galesburg, Morton, Normal, Pekin, Springfield, and Washington. I also serve the counties of Fulton, Knox, LaSalle, Marshall, Mason, McLean, Putnam, Rock Island, Schuyler, Stark, Tazewell, and Woodford. I also handle federal cases in Urbana.